Landjaegers are an original old world sausage. 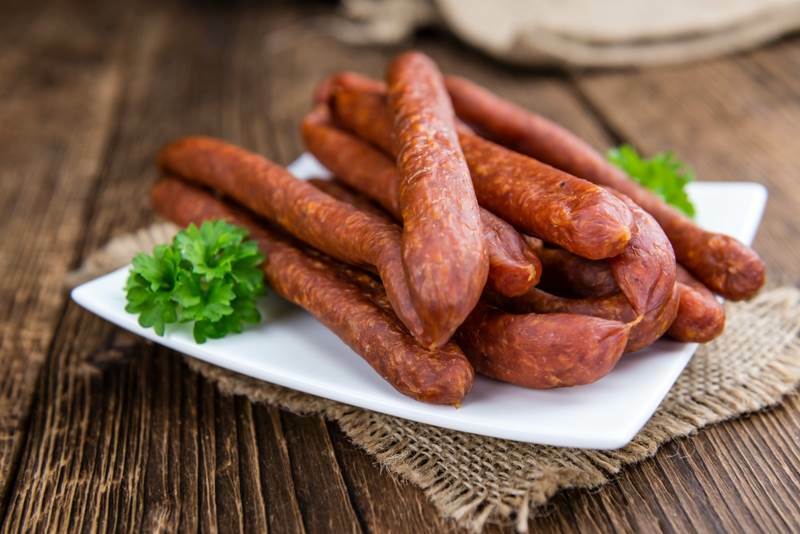 A German and Swiss style ready to eat hickory smoked snack sausage they are an instant energy treat with kids, outdoorsmen, soldiers and sports enthusiasts. Always enjoyable at any event, people have called them jerky sticks as they have the perfect flavor, handcrafted from quality cuts of Wisconsin beef and pork and are smoked in a tender natural casing. Crispy yet never tough packed fresh and hand twisted into hanging pairs still today, landjaeger founded the Wisconsin River Brand. Thanks Dave. order got here fast. everything great flavor and really done right. shared a little with neighbor but not much. best thing the wife really enjoys! we got the regular beef landjaeger this time. perfect! thanks again, Ken and Barb, Orting Wa. Reminders me more of a summer sausage than Landjaeger. I dried them out a little and they improved, but still lacking the correct spices. May be the ugliest landjaeger that I've ever seen, lol. Service Area: Mauston, Sparta, Tomah, Reedsburg, Richland Center, Viroqua, Montello, Wautoma, Poynette, Cross Plains, New Lisbon and surrounding communities. Page Summary: Page Summary: Wisconsin River Meats makes the BEST landjaeger in Wisconsin! 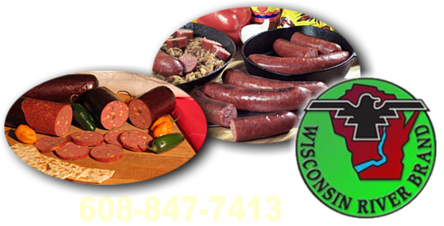 Using homemade sausage and spicy sausage, hickory smoked in natural casing, throughout Wisconsin, including Milwaukee, Madison, Green Bay, Kenosha, Racine, Appleton, Waukesha, Eau Claire, Oshkosh, Janesville and surrounding (WI) communities.